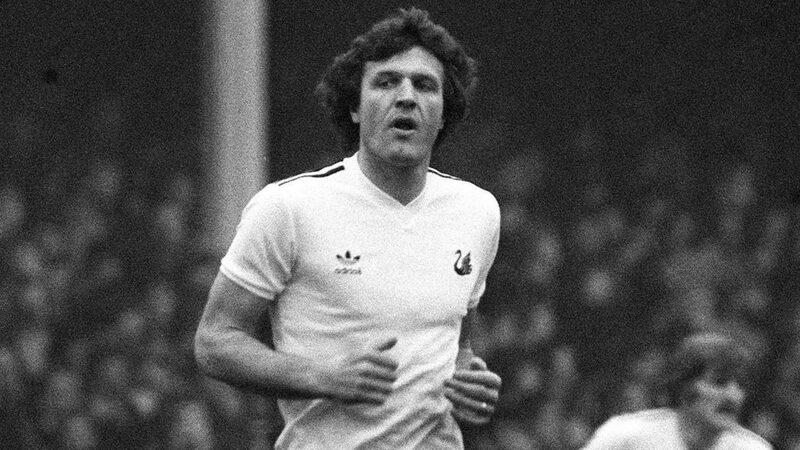 Whatever the year, St David’s Day is a day of celebration for Welsh people around the world, but in 1978, it was of particular significance to Swansea City, because it was the day the club unveiled John Toshack as their player-manager. Having gained legendary status during his seven years at Liverpool, where he had quickly formed a potent centre forward partnership with Kevin Keegan under the guidance of the great Bill Shankly, Tosh returned to Wales, to become a player-manager of the Swans. As Swansea fans know only too well, Tosh went on to inspire a meteoric rise from the Fourth Division to the top flight for the club, something they had never done before in their history. During his playing career, Tosh won three Welsh Cups, three English First Division League titles, an FA Cup and two UEFA Cups. Such success as a player, would stand the Cardiff born Toshack in good stead, as he embarked on a career in in management, which duly spanned four decades and has taken in ten countries across Europe and Africa. From guiding Real Sociedad to a Copa del Rey truimph in 1987, to a fifth consecutive La Liga title with Real Madrid two seasons later, when Los Blancos recorded a record number points and goals scored. Never afraid of the unknown, Wales’ most recognisable manager also took charge of his country’s national team, Deportivo La Coruña, Beşiktaş, Saint-Étienne, Catania, Macedonia, Khazar Lankaran and Wydad Casablanca. His autobiography, ‘Toshack’s Way: My Journey in Football’, tells his story in full for the first time: the decade at the top as a player in one of football’s most famous institutions; unprecedented success as a manager; glories across the Mediterranean and constant cultural discovery elsewhere in the globe. 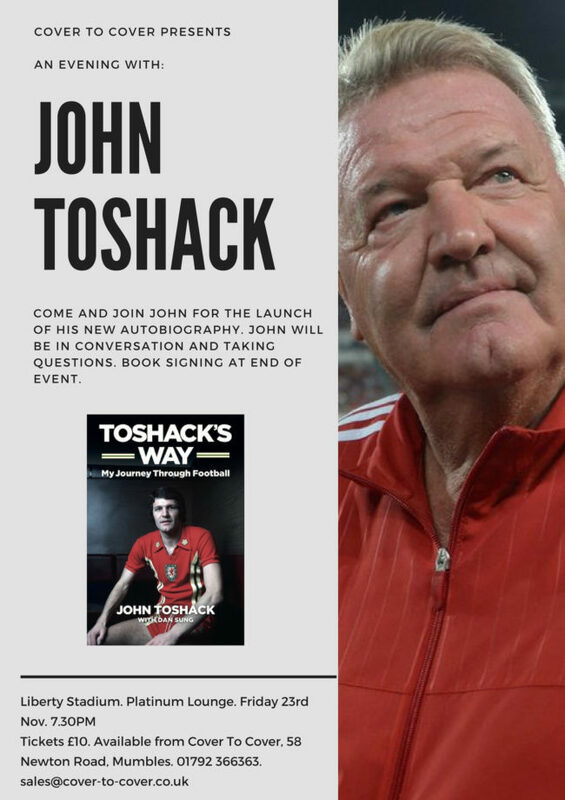 Now Tim Batcup of the Cover to Cover book shop in Mumbles, has organised an evening with John Toshack at the Liberty Stadium to celebrate the launch of his autobiography – ‘Toshack’s Way: My Journey Through Football’. The event, which takes place in the Platinum Lounge of the Liberty Stadium on Friday, 23rd November 2018 at 7:30pm, will see John talk openly about his life, before signing copies of his book later in the evening. Tickets are priced £10.00 and are available to buy online or in person at the Cover to Cover book shop in Mumbles. Keep your eyes peeled on the our website and social media accounts, as we’ll be running a competition to win a signed copy of ‘Toshack’s Way: My Journey Through Football’ very soon.